The Pantone Color of the Year is one event that sends the design fraternity into a tizzy each year because this color sets the tone for branding, ads, designing, fashion and so much more. This year, Living Coral has taken the crown, and rightly so. It is a welcome change from the bright Greenery (color of the year 2017) and the deep Ultraviolet (color of the year 2018). Living Coral is refreshing, light and soothing. The wedding industry is just as eager to incorporate this trend as other industries that deal with creativity. So here are 51 coral wedding ideas to incorporate Living Coral in your wedding. 1. UpholsteryThe hues of orange, crimson and coral wedding upholstery is a fantastic way to create a comfortable, but stylish seating arrangement for wedding guests. The venue can use upholstery for chairs and sofas, depending on the seating arrangement. 2. 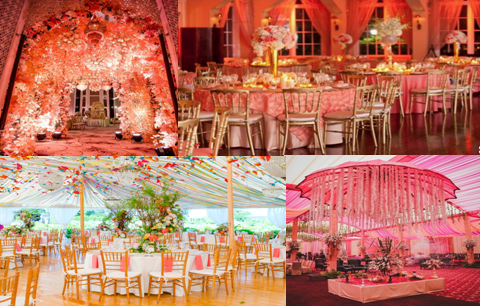 Fabric Draping fabrics for chairs and other décor in living coral can give off a stunning vibe at your wedding. You can either use the fabric to cover the entire chair or if you have ornate chairs, tie a ribbon on the back for some cute décor. 3. Floral Arrangements If you really want a coral color wedding, talk to your florist or decorator about flowers in this color. 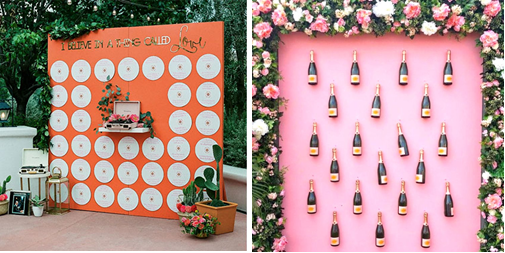 You can use this floral décor for your mandap, for a photo booth or even decorate the entry into your venue. 4. Stage The center of everything in the wedding, you can choose coral wedding decorations to create a beautiful backdrop on the stage for perfect pictures. Another great idea is to use a living coral sofa with a contrasting color for you and your better half to sit on the stage. 5. Décor Theme Make coral the theme of your wedding and you can go with a coral and amber wedding theme to have something hatke for your wedding. You can incorporate these colors in everything from the invitations to the décor at the venue. 6. 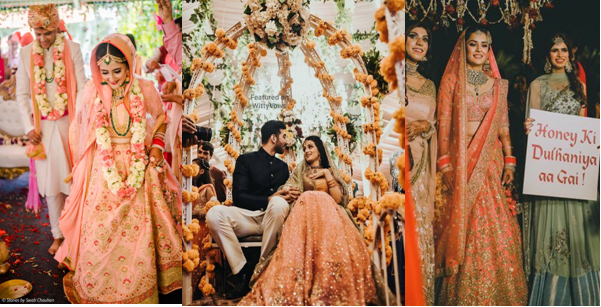 Bridal Outfit Choose a beautiful living coral lehenga and a contrasting dupatta, or a dark-colored lehenga with a living coral dupatta. You will surely glow on your wedding day with this combination that is quite unique in a day when red and green rule the wedding outfit game. 7. Groom’s Outfit The groom’s outfit can also have a splash of coral with a stunning living coral dupatta slung over one shoulder. 8. Groom’s Paghdi Want just a hint of living coral? Then a good idea is to use living coral in the paghdi fabric and create a darker sherwani for a beautiful contrast. 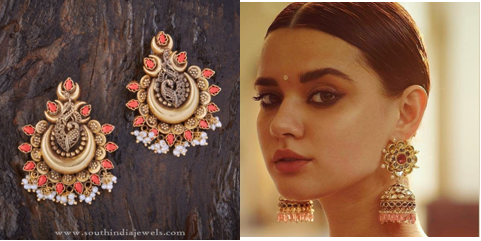 Or, use a beautiful brooch pinned to the paghdi featuring a living coral stone and combined with diamonds or pearls. 9. Bridesmaids’ Outfits Who can forget the bridesmaids? 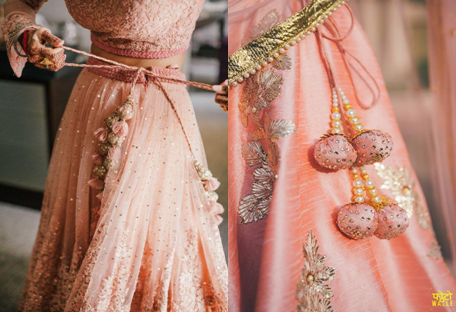 One of the best living coral wedding ideas is to create coral outfits for your bridesmaids, whether it is a saree or a dress. Gold or a darker shade will go perfectly with living coral for bridesmaid outfits. 10. Kaleera Go bold with your Kaleera and incorporate this unique shade in this important jewelry as a part of your wedding wardrobe. You can get custom made kaleera in order to incorporate this beautiful color and match it with your outfit. 11. Neckpiece Living coral can also be used to create your wedding jewelry, and especially as a centerpiece in your necklace. Another great idea is to wear a longer necklace with living coral beads along with a choker to create a layered look. 12. Latkans These days, latkans in the lehenga and dupatta get just as much attention as jewelry. So why not use living coral beads or even embroidery to create an elaborate set of latkans for your wedding outfit. 13. Payal You are surely going to wear this beautiful piece of jewelry with your wedding outfit, so how about adding little touches of this color into your payal? 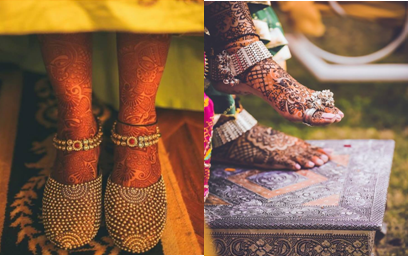 You can opt for dainty toe rings if you are not a fan of payals or anklets. 14. Earrings Stones in the shade of living coral create a striking look, especially when paired with diamonds and precious metals, such as gold or silver. 15. Bangles Who doesn’t love a hand full of bangles on their wedding day? 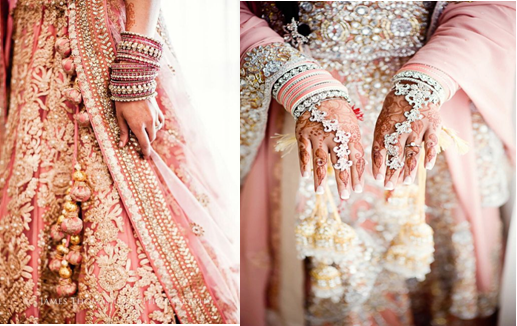 But how about creating a unique chooda with the contrasting shades of pink, living coral and white! You can choose bangles with living coral stones and go crazy because it is your wedding. 16. Nail Art Getting your nails done before the wedding? Coral and gray is a great combination if you prefer more muted nail paint colors. Not only will it look elegant and sophisticated, but it will also allow the focus to remain on your outfit and jewelry. 17. Lip Color Coral lipsticks are absolutely to die for, and this is an easy and gorgeous way to incorporate this shade into your beauty regime for the wedding. Make sure you ask your makeup artist to test the shade on you before the big day. 18. Eye Shadow If you are not afraid of a little pop of color, living coral with golden can create a stunning look for you on the big day. Don’t be afraid to try a new look, but always try a full face of makeup before the actual wedding to see how it will look on the final day. 19. Mehendi Favors Mehendi favors in living coral can include a beautiful beaded necklace, a potli filled with sweets and even a gorgeous set of earrings for your guests. You can also opt to add a beautifully handcrafted ring or a stack of bangles to give your guests something they will always remember. 20. 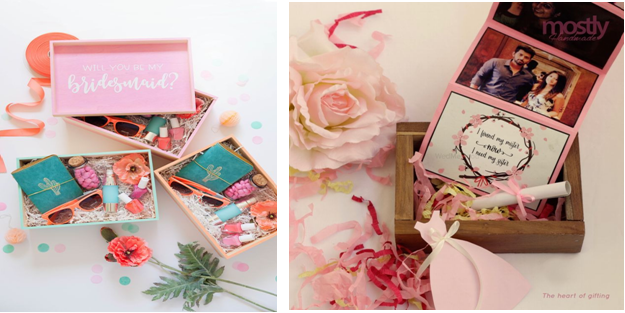 Bridesmaid Gifts Pamper your bridesmaids with matching sunglasses in living coral, or even a whole basket filled with lipstick, nail paint, and other living coral goodies. And if you really want to pamper them, get them a customized hamper with a living coral color theme. 21. Wedding Stationary If you are offering accommodation for guests, you can use living coral as a theme for your wedding itinerary and place it in all rooms. You can use cream paper and living coral lettering to really bring out the elegance of this color. 22. Welcome Baskets If you are hosting a destination wedding, give your guests a gift basket filled with living coral themed goodies like a pair of flip-flops, fruits and even a box of everyday essentials. Tie it up with a neat bow in this gorgeous color to make your guests feel special. 23. Luggage Tags For luggage tags, you have quite a few options. You can check out leather luggage tags and see if there is an option to have living coral leather, or you can use handmade luggage tags as a fun way of giving guests something really special. 24. Wedding Signage Cute wedding décor in the form of standees is always a great idea, and what better than your favorite quote in living coral on a beige background? These add a certain charm to the décor, so make sure you find the right spots for the standees. 25. Invitations Wedding invitations are important, so pick a theme or a color that goes with living coral and you can create a wonderful set of invitations. Combine this shade with sparkly golden, or bright pink to create the right combination. You can also ask your wedding card designer to help you incorporate the shade into the wedding invitation in a unique way. 26. Food Counters Decorate the food counters with living coral linen to create a stylish dining area at the wedding venue. You can use tablecloths or even name cards for dishes in this color to add a pop of brightness. 27. Plating & Dining Another out of the box coral color wedding decorations is to incorporate this color into your tableware, which is an absolutely unique way to use this color. You can have living coral napkins, or a tablecloth and even cutlery that match your color theme. 28. Menu Cards Do you have sit down dining at your wedding events? Make sure to use living coral to print stylish menus listing down the courses for your guests. Just a simple outline of living coral on the menu card can add a ton of style to it. 29. Dessert Table A dessert table with living coral cupcakes, ice cream, and scrumptious desserts will be the perfect way to end the wedding festivities on a sweet note. 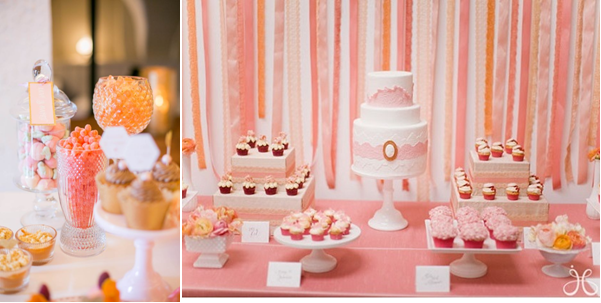 You can also add a DIY ice cream booth to add more of this color to your wedding. 30. Cake How can a wedding be celebrated fully without cake? Minimalistic cakes are the rage this season and you can pick one too. Minimal living coral frosting with floral buttercream décor on the cake is just what you need. Living coral is a unique shade that can light up the space if used correctly. So which one of these décor ideas did you like the most? 31. 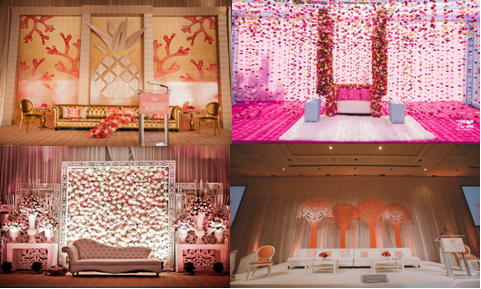 Backdrop A beautiful backdrop can be created with swathes of living coral fabric draped onto trees to create an alluring effect. Another great option is to use shades of living coral to create a picture wall. 32. Chair Bowtie Add a cute accent to your décor with living coral bowties at the back of your wedding venue chairs. It is a subtle but elegant addition to the overall décor. 33. Cocktail Table How can we forget the cocktail décor? You can have high tables for the cocktail bar and either drape it in living coral fabric or use living coral cocktail napkins or stirrers for drinks. 34. Décor Props When it comes to wedding décor, there are a ton of things you can use in this shade. From living coral steamers to living coral cutouts of the bride and groom’s favorite things, you can use this color everywhere. 35. Drinks The trend these days is to create a signature wedding drink. So why not incorporate living coral into a special drink, mixed especially for the wedding attendees? 36. Hairstyle Oh, the things you can do when it comes to your hairstyle! Want a pop of color in your hair? Add living coral beads with pearls into your hairdo, or opt for living coral flowers in your hair for a stylish updo. 37.Hangings Elevate the level of your wedding ceremony with beautiful and attractive hangings in coral, pink, golden and amber hues. 38. Jaimala The highlight of the ceremony is the jaimala. A combination of white and living coral flowers can be a gorgeous way to begin your wedding rituals on the right note. 39. Lounge Create a comfortable seating area for your guests. You can have a living coral floor carpet, with living coral drapes and white sofas so your guests can enjoy at the wedding. 40. Photo-Booth This will be everyone’s favorite spot, especially if you create a photo booth wall with living coral flowers, which can be real or even handmade papier-mâché flowers. 41. Ring Boxes The ring ceremony is another important event in your wedding. You can opt to use a beautiful living coral wedding ring box or get customized living coral ring trays as a way to remember this day forever. 42. Table Arrangements If you have a seated dining arrangement, you can have a living coral placeholder with the table number. You can also opt to use living coral table clothes, combined with a white tablecloth to create a wonderful contrast. 43. 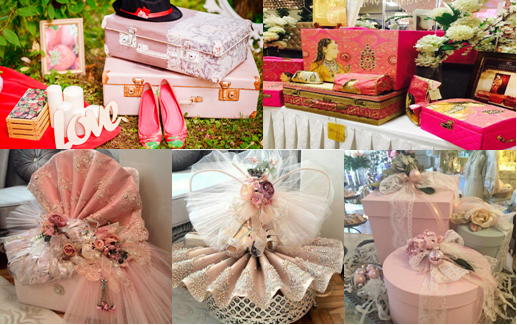 Trousseau Packing Get your trousseau packed in style when you use living coral ribbons and other decorations. A touch of extra style in this would be to make sure you have a trousseau outfit in living coral! 44. Wedding Favors Make sure your guests leave with a wonderful memory. Give them a thank you note with living coral lettering or even a box filled with your favorite sweets packed with a living coral ribbon to express your gratitude. 45. Vedi A vedi or a mandap is the center of the wedding rituals. You can either have one that is open on all sides or a vedi that is closed on one side. Regardless of the design, you can have the top of the vedi decorated with stunning flowers in this shade. 46. Bar The bar backdrop is just as essential. Discuss with your decorator if you can incorporate coral colour flowersor coral backdrop to create unique bar setup for your wedding décor. Also, you can use the lights which can go behind the bar wall or even beneath the bar counter. 47. Food Choose culinary delights in coral hues. Right from refreshing shales to desserts, go all coral in your scrumptious spread of delicacies. 48. Paper Globes Living coral paper globes can be a stunning addition to your décor. Just string them up on a sturdy rope and cutouts or flowers in the shade of coral and decorate your venue with this elegant décor. 49. Candles to Create a Perfect Ambiance Use coral-coloured candles here and light them up to create a perfect ambience. You can use these candles as perfect option for adding an elegant touch to your dinning experience. 50. 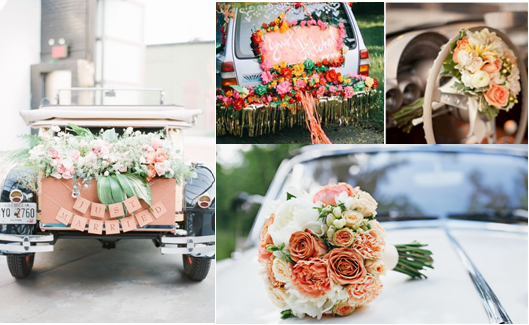 Car Wedding car décor is by far the most artistic way to use living coral, so get creative with living coral net fabric or flowers to decorate the hood or top of the car. 51. Grooms Men Let us not forget your groomsmen! Get them matching boutonniere for the wedding or for the reception. You can also find matching pagdis or pocket squares for them to make sure they match in style. Go for coral-coloured hues as the main wedding décor theme and make a splash of the colour in everything, right from décor props to wedding attire. 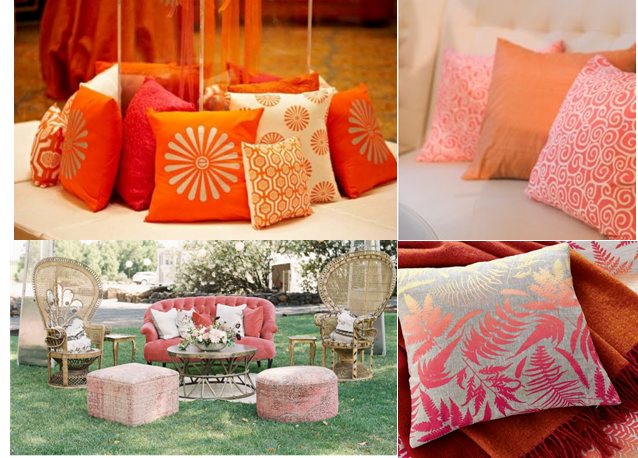 “Living Coral” , the pantone color of the season is definite to set thedécor trends high. Follow this blog and implement these ideas suggested by GetYourVenue, a one-stop solution for all wedding related services!